Woods growing in confidence and ambition despite leaving Tour Down Under empty-handed. ADELAIDE, Australia (VN) — The apprenticeship is over. Hot off the heels of his breakout 2018 season, Michael Woods (EF-Education First) is only racing for one thing: victory. 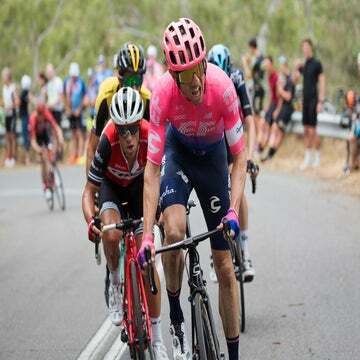 Woods went all-in Sunday in the dramatic finale up Old Willunga Hill with a searing chase of stage-winner Richie Porte (Trek-Segafredo) to close out the Tour Down Under. Woods was swinging for the fences, but struck out when he couldn’t match Porte in the final kilometer. Woods was in the thick of the GC battle all week in the six-stage Tour Down Under to debut the 2019 campaign. After lighting up the Corkscrew climb Thursday, many pegged him as a possible winner Sunday. 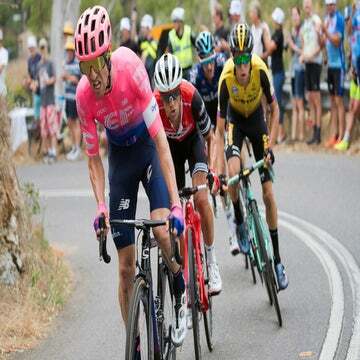 Woods was keen to match Porte, but his legs ran out of steam when the Tasmanian turned on the turbos with 1km to go to win for the sixth consecutive year on the Willunga summit. Woods trailed across seventh at 15 seconds back and finished seventh overall. Woods was being brutally honest, but his tone and personal expectations reveal just how far and how fast he’s come since his WorldTour debut in 2016 in this race. Four years ago, he was following wheels and learning the ropes. Flash forward to 2019, and Woods came back to the Tour Down Under this month with huge ambitions. Somewhat ironically, he finished better in 2016 in fifth than he did Sunday in seventh. Sometimes the tale of the tape just doesn’t tell the full story. Woods is more confident in his abilities to be a protagonist in every major race he starts. 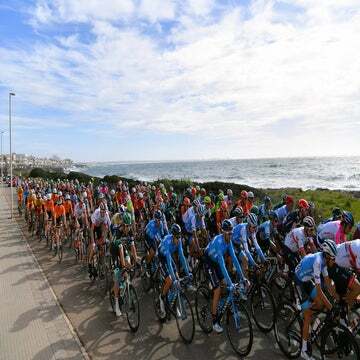 Woods will stay in Australia through the Cadel Evans Great Ocean Road Race and the Herald Sun Tour. Then it’s back to Europe and straight into the Ardennes.